Nottingham Forest, fresh from their FA Cup exploits against Arsenal on Sunday, host Aston Villa in the Championship a match between two former European Cup winners. This will be the 86th competitive fixture between the two clubs, with Villa ahead on head-to-head victories with 34 wins to Forest’s 28. Villa won their corresponding league clash at Villa Park earlier in the campaign with Albert Adomah and Conor Hourihane each finding the net in a 2-1 victory. 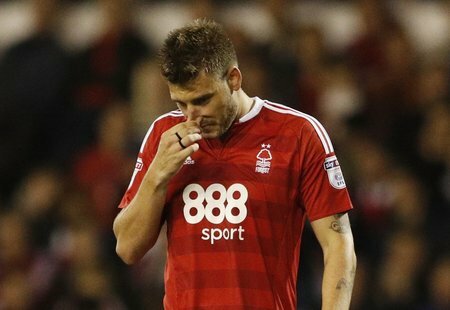 This fixture last season saw Forest come out 2-1 victors after a minute from teenager Ben Brereton in the third minute of stoppage time against ten men. The last eleven clashes have been very well balanced, with Villa winning three matches to Forest’s two, while there have been six draws. Nottingham Forest appointed Aitor Karanka after sacking Mark Warburton on New Year’s Eve, with assistant David Weir and director of football Frank McParland also leaving the club. Academy manager Gary Brazil was in temporary charge of first-team affairs and led his side to an admirable point at playoff hopefuls Leeds United on New Year’s Day before the landmark defeat of Arsenal in the FA Cup. Forest lie 14th in the Championship standings and have 21 points from 13 home fixtures – winning seven and losing six. However, the Midlands club are without a league win in five and have only one victory in eight, with five defeats in that run. Villa’s shock FA Cup loss to Peteborough United continued a poor run of form which means they have now only won two of their last eight games in all competitions. However, both of those victories – 1-0 at Middlesbrough and a 5-0 demolition of promotion hopefuls Bristol City – came in the league, where they now lie 5th. Steve Bruce’s team have the third best defensive record in the division but only the eight best away record – with 18 points from 13 on the road. The hosts are likely to stick with their 4-2-3-1 formation with no fresh injury worries following their win over Arsenal, but Joe Worrall is suspended following his dismissal. Mustapha Carayol, Armand Traore and Jason Cummings will all be jostling to win back their place in the starting line-up in attacking positions. Villa, who made a raft of changes for their cup defeat are set to revert back to their strongest line-up in a 4-1-4-1 formation, spearheaded by Scott Hogan with Robert Snodgrass and Albert Adomah among the cavalry. This is a tough match to call – despite Villa being nine places and 12 points better off than Forest in the table. Home advantage may be more important than usual as this is a derby match and a likely sell out, while the ‘bounce’ of defeating Arsenal in the FA Cup may come into play, as well as Villa’s poor defeat to League One Peterborough. Villa have more quality in their ranks but do not travel well while the City Ground is never an easy game for any side in the division, with a draw the most likely outcome. Albert Adomah is Villa’s top scorer this year with 12 goals in all competitions including six in his last ten and odds of 40/17 of him finding the net anytime in this fixture represents value.